Do you want to create your own comic book? 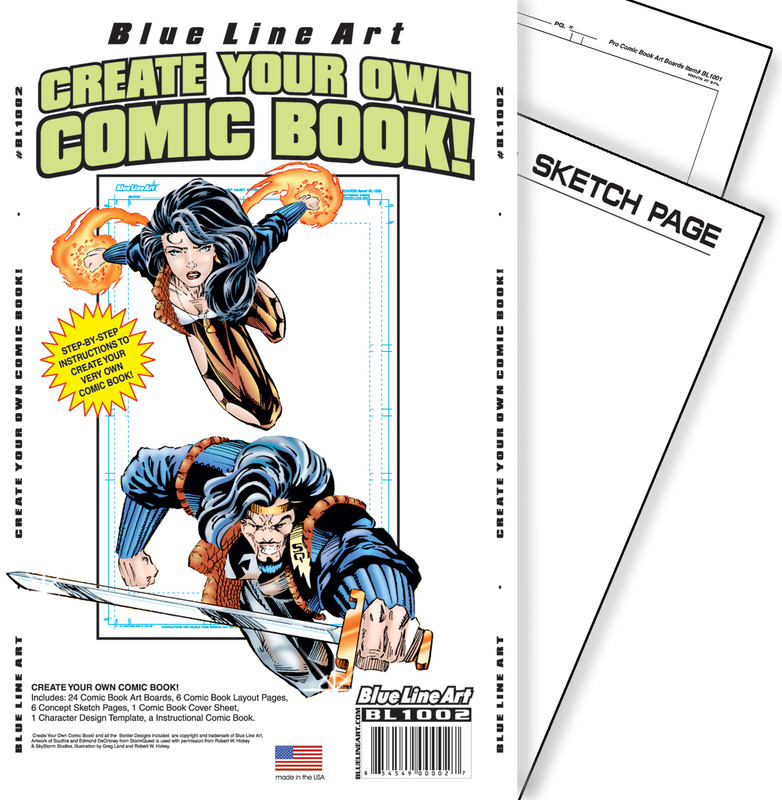 Blue Line Art has developed a simple and inexpensive step by step kit to help you create your very first comic book that’s fun, easy and comprehensive. 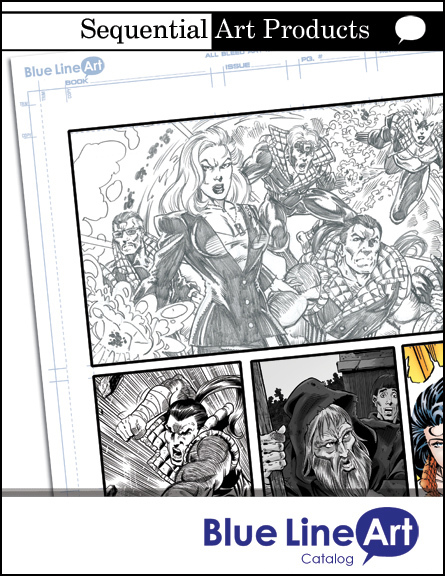 Contained in this set of Blue Line Art products are all the essentials for making a comic book. The kit includes 1 Character Template, 4 (BL1004) Concept Sketch Pages, 4 (BL1005) Comic Book Layout Pages, 24 Comic Book Art Boards, 1 (BL1007) Comic Book Cover Sheet and a 24 page instructional booklet to aid you as you go.